With our Full Access Multi Club membership you can use any club, any time (subject to club terms & conditions). You’ll find everything you need to get fit and stay motivated at any Fitness First club. 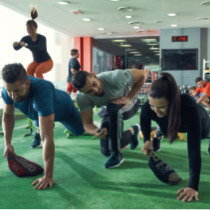 From Freestyle™ areas and group exercise studios to our expert team of personal trainers, membership at Fitness First makes it easy for you to stay on track with your fitness ambitions. You will also find at our clubs the highest quality facilities, club design and value-added finishes that will make your workout experience all the more enjoyable. It's not just fitness, it's a lifestyle. Workout the way you want, and get the most from the latest fitness equipment, group workouts and dedicated support from our certified experts. Your membership includes everything you need to make fitness part of your life. Along with free group exercise classes led by certified instructors, popular group exercise training such as boxing classes, Yoga and Zumba are now also available throughout the region.We offer over 500 free group exercise classes every week ranging from RPM, Belly Dancing and the ever popular Les Mills classes like Body Pump, Body Combat and Attack. Enjoy complimentary beverages and browse through magazines and newspapers at our relaxing members lounge. We also provide a towel service and our internationally accredited Personal Trainers will inspire and motivate you to reach your goals.Inclub Audio and Visual Entertainment throughout the club along with complimentary drinks and WIFI access for all members. Fitness First members enjoy special discounts and privileges with our partner merchants that include: food and beverage, health and beauty, fashion and a lot more. You also receive an exclusive 15% discount on all your workout clothes at the adidas stores. Fitness First is a pioneer in the latest fitness innovation programmes of the fitness industry in the region. We offer the latest Innovative Programs in the fitness indursty including XFit, Swing Yoga, PurMotion, Synergy 360, MYZONE and many more to enhance the facilities on offer. The International Passport offers you the chance to access Fitness First clubs regionally when you travel. It gives you access to all our fitness clubs, with passport memberships with reciprocal access, and communities dedicated to health in the Middle East. Tailored specifically around your individual fitness, personal training ensures you get the most out of every workout. Our expert personal trainers can offer support, advice and motivation to keep you on the right track and get results. Your very own personal trainer will assess your strating point and create a programme and schedule for you to follow to help you acheive your chosen goal. Start your active8 program and complete 8 or more visits in your first 30 days to receive an amazing gift. The second session is a personal one-on-one WOW session which will show you more ways to acheieve your goals faster. On completion, you can benefit from our exiciting personal training promotional offers. Ready to join? you can apply online and activate your membership in minutes. Any questions? Call in at your nearest club and we’ll give you the answers. 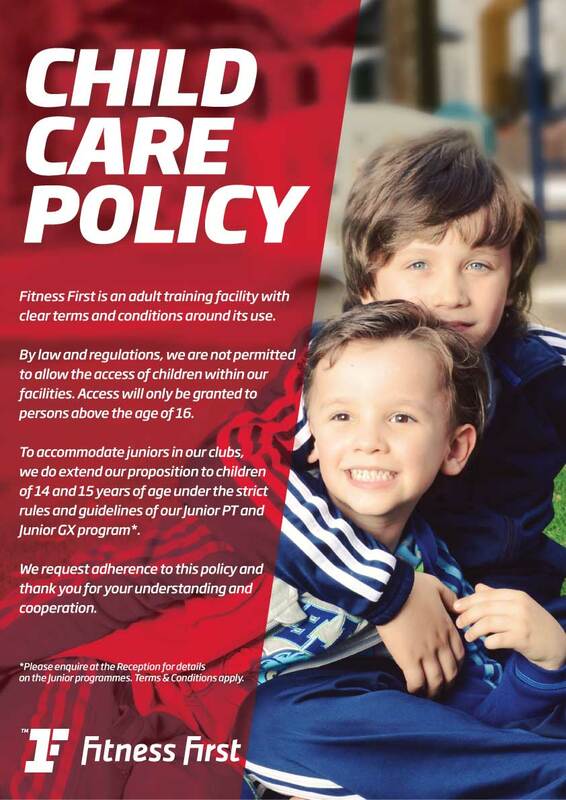 To join a Fitness First club in the UAE you must be 16 years old and above. To promote fitness as part of your lifestyle from early age we offer a Junior Membership with the supervision of a Personal Trainer or parent/guardian. Our Community Clubs have also family membership options where you can enjoy your time with your kids following our club guidelines and Child Care Policy. Most members pay through auto debit on Credit Cards however Up-front payment options are also available. We also accommodate exclusive rates for our corporate partners.